Hello, author! Allow me to introduce you to Tweetdeck. Of all the tools out there, the primary reason I chose Tweetdeck is because it is Twitter-native — it is supported directly under the Twitter company umbrella. Many times, this means the tool will be more reliable and may even get preferred treatment in terms of functionality and compatibility with Twitter tech. 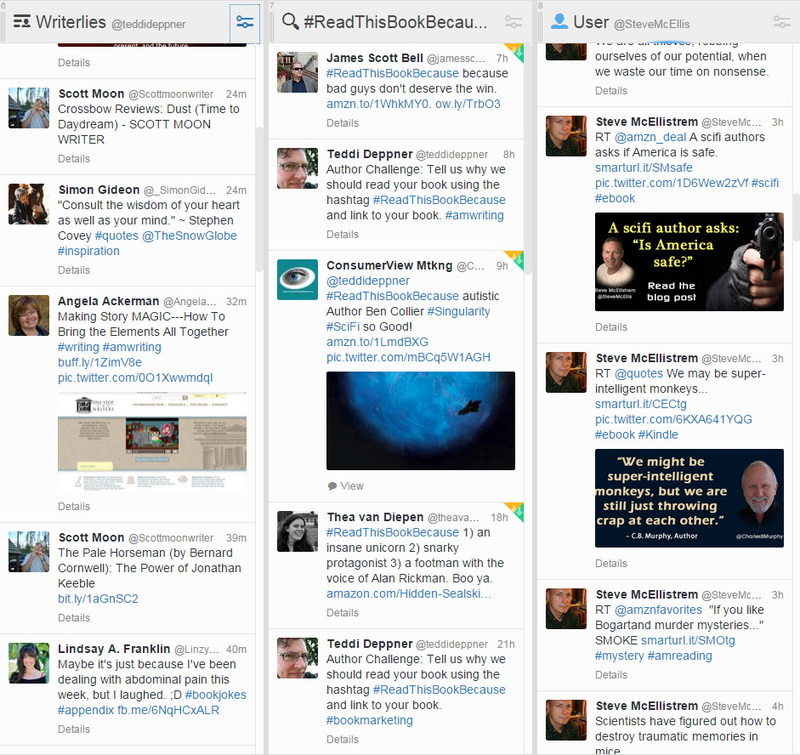 How does Tweetdeck help authors? Schedule tweets for future posting. Maintain a presence on Twitter throughout the day or week without being distracted from writing to constantly post things. Manage multiple accounts in one place. For example, you might have a personal Twitter account and an author Twitter account. Or a separate account for each book series or genre you write in. 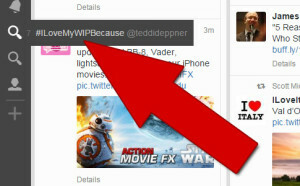 For example, I have an account for Teddi Deppner (@teddideppner) and for the #SpecFicCollective (@specficcollect). Quickly research (and keep an eye on) hashtags. Find ones related to your post, see how it’s being used, and check whether your target audience is a part of that conversation. Turn on alerts to keep up with emerging information. If you’re trying to ride the wave of trending topics, you need to know what’s happening. 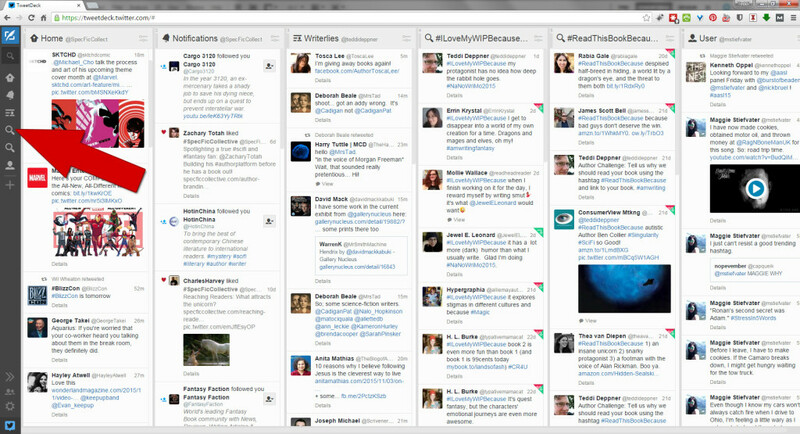 Tweetdeck streams in real-time, so you don’t have to refresh the page to see the latest updates. There are more features, but this list is already long and impressive. If you want to try it out, sign up for a free Tweetdeck account using your Twitter account. 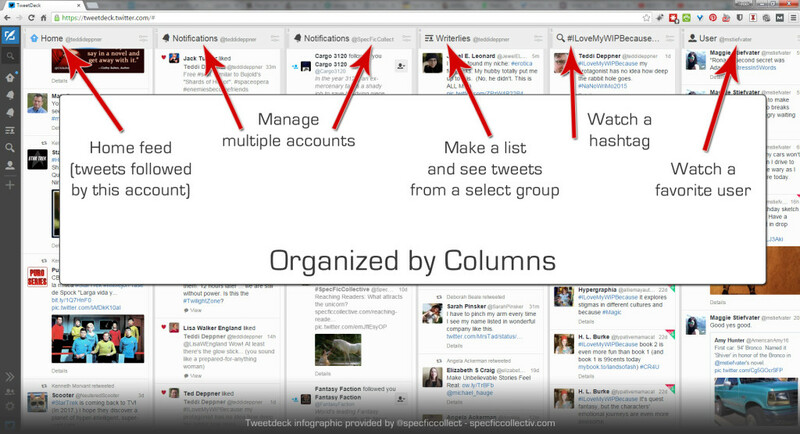 The strength of Tweetdeck’s interface is the columns. Each column is like a window on the Twitter world. Choose from a variety of views: a stream of tweets from everyone you’ve followed, tweets from just the people on a custom list, notifications for certain accounts, tweets containing a hashtag, or tweets from a single user. Since your monitor has limited horizontal space, you may only fit 4-6 columns before they go off the edge of the screen to the right. But no worries. You can navigate as far along the stack as you like with a single click on the master list — the strip of icons on the left. When you hover your mouse over the icons, you see which column it represents. Click it and the entire view slides horizontally to highlight your selected column. One of my favorite parts is how easy it is to manage multiple Twitter accounts. When you have something to say, simply click on the icon of the account from which you want to tweet. When you are favoriting (actually, it’s called “liking” now and has a heart instead of a star) something, you can do so from any of your accounts. When you retweet, you can select which account to retweet from — you can also select multiple accounts and retweet from all of them at once. 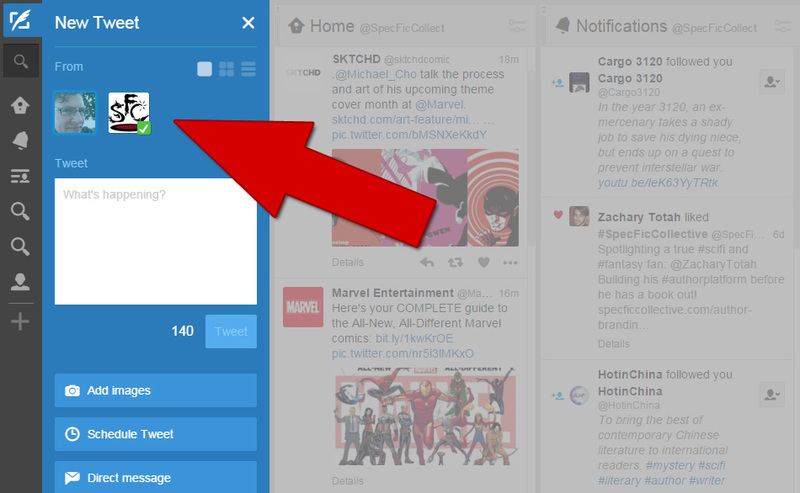 Tweetdeck can help you develop a presence on Twitter in the same places your readers are hanging out. Use it when you want to engage in real-time conversations with people, when you want to become part of the trending topics of conversation. It’s especially useful when targeting a younger demographic, though it’s also important that you’re available to keep talking if you engage them. Tweetdeck is useful when you have articles and memes that you feel have the potential to go viral. Sharing is easy and quick on Twitter, and in the right hashtag at the right time, your post could reach hundreds (or thousands) overnight. 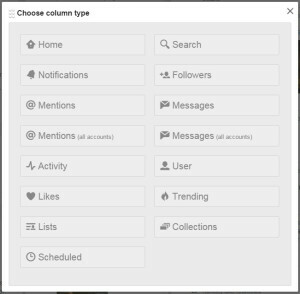 Experimentation and consistency are key strategies, and the multi-column view of Tweetdeck saves you a ton of time if you decide to dive into the Twitterverse. Finally, use Tweetdeck to research topics for online discussion. Wondering what to blog about? Find out what’s hot in your genre right now, what fans are talking about, and what people really think about certain books or movies. The insights gained into the minds of your target audience are priceless. There are plenty of social media management tools available to authors. This article is not an exhaustive review of what’s available, it’s an introduction to one of the tools that is free and feature-rich. If you want to check out the others, do a quick Google search for “twitter management tools” and you’ll find a solid handful of options. Some are free, some are not. If you’ve used a different tool and found good success, feel free to share about it in the comments. If you have questions about using Twitter or social media, tell us! The Collective is about sharing knowledge. Enrich the hive mind by leaving a comment below. It’s one thing to talk about celebrity authors or authors that we’ve been in love with since childhood. Madeleine L’Engle, Stephen King, Neal Stephenson, Terry Pratchett, Neil Gaiman, Isaac Asimov. There are few quibbles about their right to be in the hallowed halls of fame. But what happens when a “nobody” rises to fame? What happens when somebody much like yourself (or — horrors! — even less experienced than yourself) becomes popular or is touted as great by those around you? 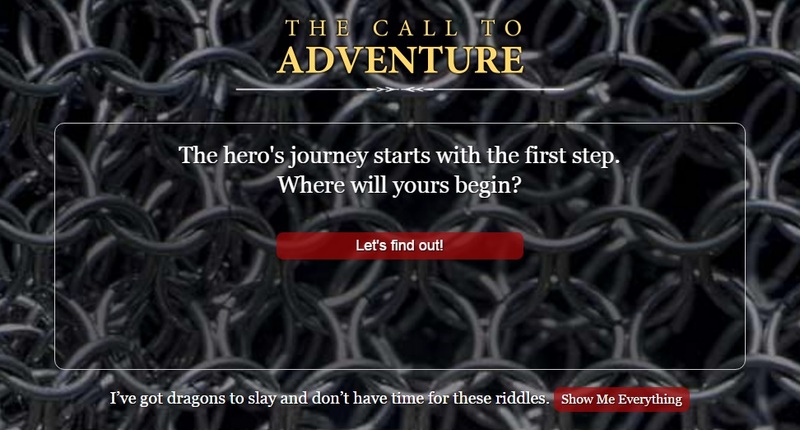 Boromir fell into this trap. From the beginning, he was envious of Frodo’s assignment as the Ring Bearer. He could not believe that this inferior little person was being given this enormous responsibility and the much-desired Ring of Power. Why was this fluffy-footed little halfling getting all the attention? 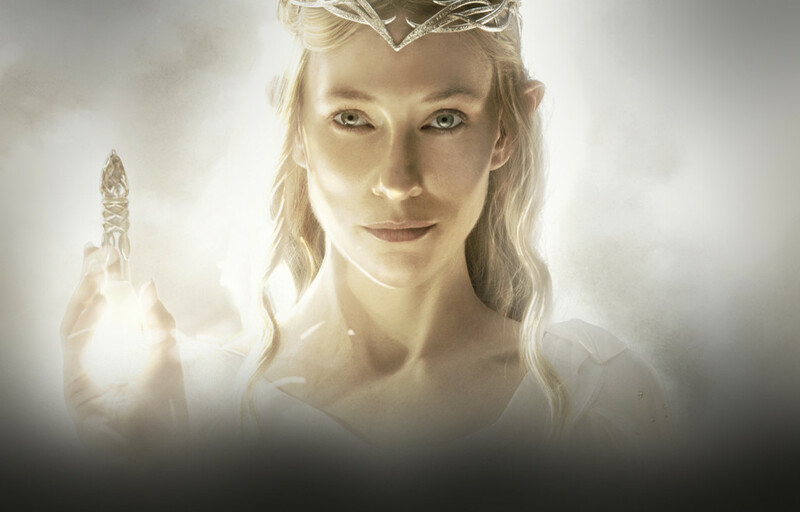 Eventually, his envy (which was really rooted in his pride — another dangerous thing that twists our view of the world) caused the breaking of the Fellowship and the departure of the Ring to Mordor in the hands of two unprotected hobbits. His blind desire for the Ring and contempt for the chosen Ring Bearer put the world into more danger than ever. Instead of protecting and supporting the one who was chosen to carry the burden, he drove him away and into the grasp of the treacherous Gollum. Envy has never ended well for fantasy characters. The Queen step-mother of Snow White was obsessed with being the most beautiful and it twisted her into the most wicked. Whatever you focus on and give attention to will loom larger in your mind. The step-sisters of Cinderella were terribly envious of her beauty and overall sweetness. They mutilated themselves, trying to fit her mold (the slipper). They could have had a wonderful life as the sisters of the new Queen, but instead their eyes were pecked out by vengeful birds or they were relegated to servanthood, depending on the story version. When you are busy envying someone else’s success, you are wasting energy. Not only that, but envy leads to blindness and poor decision-making. Two common pitfalls: either you will try to copy the other person’s success (without considering whether it fits your own brand and personality and goals) or you will reject their entire approach (missing out on some excellent tactics because you simply Will… Not… Be… Like… Them). The next time you see someone promoted for something they’re doing well, and you get the greens, try this recipe for a cure. I have it on good authority that the success rate is over 95% if applied consistently whenever symptoms appear. First of all, remind yourself of the truth. Put it on a post-it note: “Envy is ignorance” – Ralph Waldo Emerson. “There are enough readers for everyone.” Bookmark a few statistics or articles that remind you: today’s marketplace rewards cooperation, not competition. Return to them when you need a reminder. Next, take positive action towards the other author. Congratulate them. Learn from their success. Share their story on social media. Celebrate with them. Don’t let the green-eyed monster climb onto your back and wrap his long, slimy fingers over your eyes. One of the core values of the #SpecFicCollective is that we are stronger together than we are apart. Today’s publishing landscape is not the same cutthroat situation that it was when a few publishers had only a few spots each year for a few books. There was a time when authors might have been rewarded for acting competitively instead of cooperatively. Today, an individual author may have what it takes to succeed alone. But a Fellowship of authors will always do better — if we are working together with the shared understanding that success for one contributes to the success of all. Acts of generosity, mutual promotion, shared readership and collaborative marketing are exponentially more effective in today’s world of social media and book marketing. 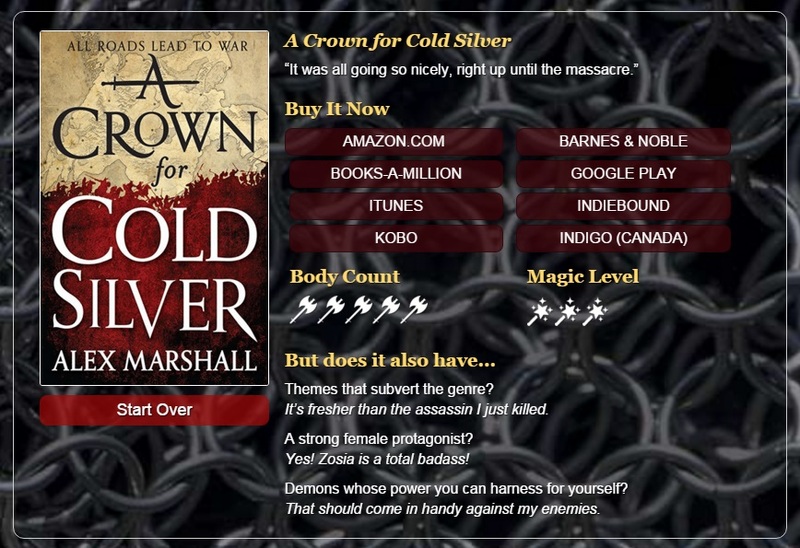 Search online for an author in your genre who received an award or recognition. Someone who is being interviewed on a big name website. Now promote their book. Say something nice about them. Celebrate their success. Leave a comment below and share your thoughts. Do you agree that we are stronger together than apart? Or do you see other authors as your competition? Why or why not? Hook eyeballs? Ewww. That sounds like a horror movie, doesn’t it? Well, we are a #specfic crowd, which includes horror. So why not? I’ll tell you why not! ‘Cause I’m not a horror fan, and googling “horror fishhooks eyeballs” led me to a picture of a guy named Frank full of hooks and chains in the 1987 movie Hellraiser. No, thank you. When it comes to horror, I stick with either sci-fi horror (a la the Alien franchise, District 9, or Monsters) or dark/urban fantasy (a la the Underworld series, I Am Legend, or Dracula Untold). In fact, I need to wash my eyeballs right now. I need a vision of beauty. Where does your eye go? To the pictures. And which pictures in this shot actually communicate something to you? Yep. The ones in the right column. I’ve noticed these tweets have a similar look. In fact, I’m pretty sure that either the same person is generating all of them or a group of authors are following the same template. When you see a number of these graphics in one place (like those on the right), you can see the pattern. Honestly, not everyone needs to do this. And even if you do it, not every tweet needs to have a graphic like this. This is a good strategy when you are ready to build your fanbase. Use it when you have something of interest to offer to potential readers. Some posts will lend themselves to this sort of fanfare. Others, not so much. Over time, you will figure it out. Tip: If you already have an archive of blog posts (and if you have traffic stats you can examine), then find the posts that get the most hits or which have the most comments and create graphics like this for those posts. They have already proven themselves to be of interest, and this sort of promotion is likely to bring in more traffic. Bonus tip: If you are making an effort to bring more traffic to your website, MAKE SURE YOU ARE PROMPTING VISITORS TO SIGN UP FOR YOUR EMAIL LIST. Oh, sorry. Caps lock got stuck there. But seriously, you need to capture those potential readers if you can. My favorite (free!) WordPress plugin for gathering email addresses: SumoMe. Fantastic plugin. Install now! You can do this. Yes you can. Feeling graphics-challenged? You don’t have to own Photoshop or learn any fancy graphics software. There are websites out there to help you do this sort of simple graphic directly through your browser. Check out PicMonkey and Canva for starters. If necessary, hire a high school or college student on the cheap to put something like this together for you. Ask a relative or a friend whom you know has graphics-savvy. Future posts may include step-by-step tutorials on creating graphics like these. Or I might do a quick video tutorial. Would any of you be interested in something like that? If so, leave a comment below!